This is probably the most difficult list of the year for me. One look at the contents of the archives here on the blog should be an indication that my movie-watching habits are erratic at best, and that Snacked Up’s 2012 was lean for films. I spent my year catching up on the highlights – and positive lowlights – of years gone by; I learned to love Melancholia and Moon, and feel my brain dribble out of my ears watching the likes of Outcast and Killer Elite, but somewhat neglected the year I was in. So yes, I may have missed Looper and Argo, but on the plus side, I got to avoid Total Recall. I did manage to make my way to the cinema enough times to feel ashamed for Marky Mark Wahlberg, though – and to learn that South Wales, Indonesia, and Linkin Park combine to make martial arts special again. I witnessed Pixar’s descent into colour-by-numbers with Brave, and got all excited for Iron Sky, which saw the glorious rebirth of ‘high schlock’; swatting down the industry’s raging hard-on for exploitation and instead going for the kind of goofy shtick that makes low-budget cinema so endearing. Also, The Avengers happened. Don’t get me wrong, I loved The Avengers as much as anyone else, but given that it turned out to be one of the most successful films of all time, and in turn was seen by just about everyone who could conceivably be reading this, I don’t think you need me to tell you about it. It has superheroes, it has some not-so superheroes, and it has a man with a bow who likes to pretend to be a bit of both. Cities are ruined, Bruce Banner gets angered, and Robert Downey Jr. steals the whole thing without even trying, by virtue of the smuggest, sexiest goatee conceivable. As one of those pesky Buffy-loving types I have just one remark to make: it’s about time Joss Whedon got his due. Over the last twenty or so years, horror cinema has become lazy. We’ve been plagued with sub-par remakes, sequels, and derivatives, all vomiting up the genre’s tired old tropes with no consideration as to why they were so effective in the first place, resulting in a market crowded with the likes of The Devil Inside and Paranormal Entity, to which we’ve all already surrendered far too many brain cells. Enter The Cabin in the Woods. I make no suggestion that this film single-handedly redeems the genre – as a matter of fact it barely makes up for Outcast – but it does let us know that we’re not alone in thinking that something is rotten in the land of nightmares. Helmed by Joss Whedon and Drew Goddard, The Cabin in the Woods is a self-aware mixture of comedy and modern-horror, a wry mirror held up to the face of cinema’s recent attempts at giving us the jeebies – with a ‘no-prisoners’ mantra to boot. When the viewer is presented with a list of potential villains in the film’s opening half, the likes of which extend from ‘evil molesting tree’ to ‘dismemberment goblins’, it becomes clear exactly what the film is hoping to achieve, and from that point on it tries it’s hardest to find new ways to catch the viewer off- guard. Sure, it’s not quite as clever as it thinks it is; and doesn’t hold a candle to Wes Craven’s similar stab at the genre with his 1996 opus, Scream, but it still managed to keep me entranced from minute one. 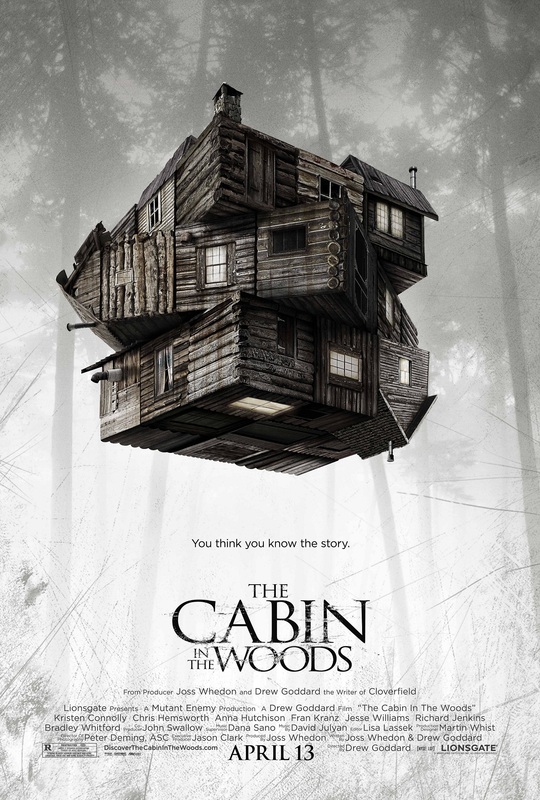 Let’s just hope there won’t be a Cabin in the Woods 2. Twenty elite police officers versus one apartment block filled to the brim with pesky ne’er-do-wells. It’s a simple premise, admittedly, but I’ll go ahead and say it: The Raid has perfected the art of one man kicking another in the face. Videogames have been trying to muscle in on the territory for quite some time, seemingly uncontested after the death of Bruce Lee, and yet The Raid has flown in at the last second and stolen Street Fighter‘ s crown. If face-kicking is what you look for in an experience, I have no doubt in my mind that you’ve found a new favourite. Even if you’re not partial to such pursuits, I think that BBC 5 Live’s Mark Kermode hit the nail on the head when he described The Raid as a musical; a 90 minute-long, tightly choreographed dance routine that stands closer to performance art than a genuine display of combat. Sure, the violent elements are fun – especially when our hero, rookie cop Rama, takes the opportunity to go on a five minute, corridor-long trek through a goon-infested hallway with nothing but a knife and a baton – but The Raid is more than that. A stunning visual display, layered against a backdrop of pure dread, this is one of the most interesting action experiences of the last ten years. Failing to mention that soundtrack. Of course, it’s worth considering whether or not you want to see a bunch of guys get kung-fu’d into oblivion, considering that’s essentially all the film has to offer. 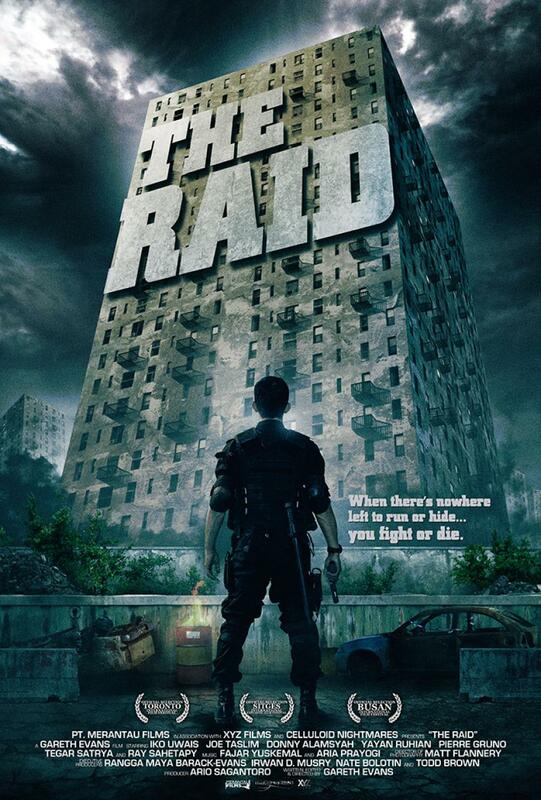 Personally, that’s more than enough for me to declare The Raid as one of 2012’s best films. Hyper-violence hasn’t been this fun in a long while. Your enjoyment of Prometheus hinges on your expectations going in, which perhaps explains why the film’s Alien-centric marketing and hype sold it short to so many. This isn’t a traditional sci-fi movie, and eschews genre and labelling in a much grander fashion than Ridley Scott’s earlier work within the Alien canon. 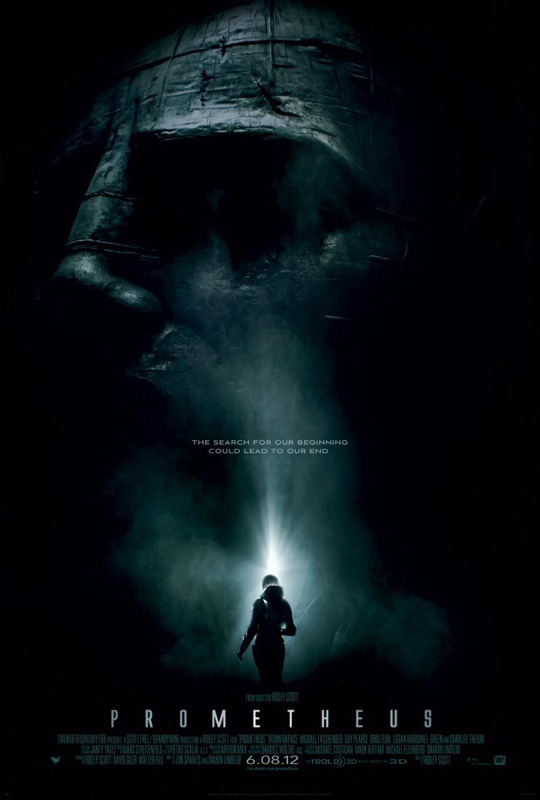 Prometheus is a visual, philosophical sci-fi flick, one that dares to alter the balance between ‘science’ and ‘fiction’ in favour of the latter. It isn’t necessary plausible, relying on the symbolism that had previously proven peripheral to films like Alien to carry the weight of the entire film on its shoulders, and this doesn’t come without its casualties. Logical inconsistencies are rife throughout the film’s extended length, and I’ll be the first to admit that it has its narrative flaws, even within the constraints of its thematic set-up. However, I’d argue that it’s approach to the fantastical when it gets things right more than makes up for its misgivings. Prometheus applied predominantly literary concepts to a genre and universe based in scientific, tactile reality, and came out of it unlike any other film I’ve seen. If you have an analytical eye when it comes to sci-fi, perhaps it’s best that you give this one a miss. ‘Thought piece’ is the phrase that best encapsulates Prometheus; it’s a film about a lack of answers – about what it means to have questions outstanding, even at the height of human awareness and knowledge. It’s something different, and entertainingly so – provided you can exercise that suspension of disbelief and exchange one mode of thought for another, seemingly contradictory one. Considering I spend half of my time here talking about videogames, Indie Game’s inclusion on this list was inevitable. If I pry myself away from my blatant fanboyism, I can try to act all objective. 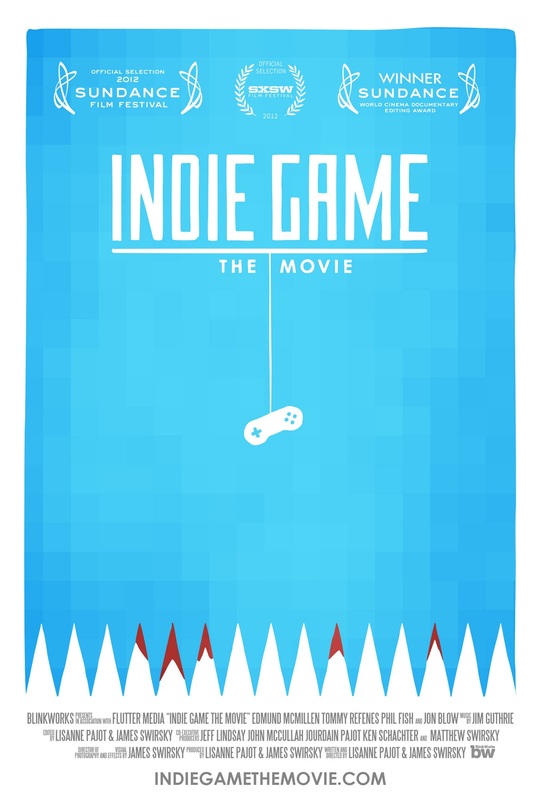 I can tell you how great Indie Game: The Movie is, even independent of its subjects. I can tell you all about how the soundtrack made me feel something, dude; or even conjure up some complete tosh about how the film will change the world – but in the end, it doesn’t even begin to explain why you should watch it. All I can say is that this is a well-made documentary that doesn’t patronise its viewer, regardless of how much or little you know about its subject, which probably explains its rave reception in the non-enthusiast press, and its commercial success over the last six months. It probably also explains why it’s one of my favourite films of the year. If The Avengers: Assemble was the natural evolution of the friendly, ‘popcorn’ superhero film, then The Dark Knight Rises was the flipside of the same coin; the apex of the darker, brooding variety of superhero tale popularised by Burton’s Batman way back in the 80’s. 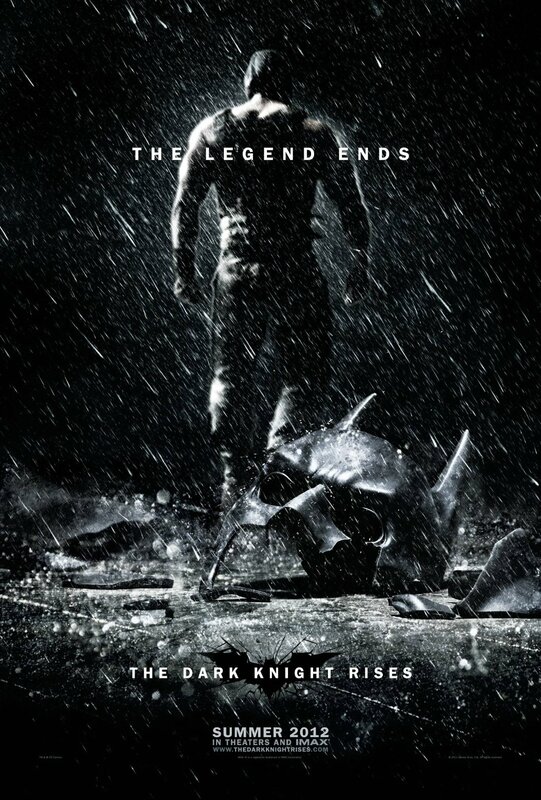 As great as The Avengers was, when forced to pick a favourite film this year, I think I would have always worked my way back to The Dark Knight Rises, if just because it gave Christopher Nolan the space – once more – to prove that blockbuster cinema can be just as dark, rich, intellectual, symbolic and brooding as anything the little guys are doing, without sacrificing too much along the way (for an example of said sacrifice, you merely need to look at Prometheus). Not to mention, it rekindled squishy feelings in me loins for Tom Hardy, the likes of which haven’t been seen since the ‘grease me up’ scene in Bronson. Taking place a whole eight years after the events of The Dark Knight, Rises portrays a Gotham radically altered by the death of Harvey Dent (the previous film’s ‘Twoface’), a crime placed squarely at the feet of The Batman. The man behind the mask, Bruce Wayne, long-tormented by the death of just about everyone around him, has hung up his cape following the events in The Dark Knight, and in his wake the Gotham Police Department have used his image as a loose-cannon vigilante to enforce a legislated attack on organised crime. It may not be the cleanest cut of events, but as evidenced by the opening’s tendencies towards opulence and kind-hearted humour, things are finally looking up for the long-afflicted citizens of Gotham City. That is, until the arrival of masked villain-of-the-week, Bane. Nobody in town seems to suspect that the underground could rise once more; leaving an opening for the most unfortunate series of events imaginable, eventually resulting in Bane’s acquisition of a fusion bomb. Needless to say, somebody dropped the ball. Bane himself is elevated to biblical proportions, Gotham his Sodom or Gomorrah, long overdue for a self-proclaimed ‘reckoning’. The worst part is, maybe he’s right. Contrary to what The Dark Knight’s last act may have had you believe, it becomes readily apparent that, just as Ras Al Guhl speculated way back in Batman Begins, maybe Gotham is far beyond redemption. The Dark Knight Rises isn’t afraid to play with your perceptions of what’s come before, essentially destroying the characters and city that have been fleshed out over the last seven years. Perhaps the scariest thing about Bane isn’t his superior strength or intellect – or even his badass coat or his gnarled mask – it’s the fact that he might just be a better hero than Batman ever was. It’s this very aspect that allows the film to rise above the failings of most other franchises that reach that dreaded third entry. Both in narrative and tone, Rises has enough confidence in itself that it doesn’t worry about stepping on the toes of Batman Begins or The Dark Knight, it just simply gets on with it. Batman is no longer important; the city and the people within are the heroes of this tale, fighting not for any contrived ideas of honour or morality, but simply for survival. It’s here where the film presents its strongest case, resulting in a first half practically devoid of the titular hero. Bruce Wayne, now living as a recluse, attempts to come to terms with the fact that the ‘Batman’ persona may never be good enough to save Gotham, and in a similar vein Rises explores what happens to ideology when the hero can’t win – what a creed like ‘no guns’ achieves when everyone else is packing heat. These ideas are rounded out with a great turn from the supporting cast, easing into the branching psychodrama that plays out in the film’s second half; free, for the most part, of The Batman’s direct influence. Ultimately, it’s this absence, restraint, and despair that made me grow so fond of Rises. It finally explored the darker territory that Begins promised to explore back in 2005, free of the big-budget frills typical of such a high-profile release. Superhero films have always stood tall on thin ideology, presenting contrived tales of ‘good versus evil’ with no room for questions. Rises dared to shatter the idea of the infallible man in tights – to suggest that good will and courage aren’t exclusive to the heroes. It went so far as to make the bad guy the good guy – not a gross caricature of evil, but instead someone driven by differing, but equally valid ideologies – and did so without tarnishing the film’s glossy, big-budget veneer. Rises introduced us to Bane, and it’s in his actions that the superhero genre finally found its reckoning. This entry was posted in Films and tagged Best of 2012, Edmund McMillen, film, Indie Game The Movie, Prometheus, The Cabin in the Woods, The Dark Knight Rises, The Raid. Bookmark the permalink.